How do you say goodbye to life? As it turns out, you do it as quickly as possible. My computer’s power is all but gone and I have just enough to seal away one last entry. It will be encoded and preserved as best I can, though it won’t matter. This is for me, for both of us for there are two of us: the man I was and the creature I will be. I am hours away from the radiation kill zone around Alpha Centauri’s primary star. There is a technical name for it but I don’t remember what it is. Once the Icarus crosses that line, I will die. The ablative armor on the ship’s hull will burn away like paper thrust into a bonfire. There is the possibility of being struck by a meteorite, there’s a couple million out there, circling the planets. I didn’t aim the ship to avoid them. Five minutes. Jesus this isn’t even going to be read. Mom, dad, you won’t even know what happened to me. Sarah? Christ you haven’t talked to me in years, a decade. It’s been a decade since I left Earth, it just doesn’t feel that way. I came out here to get away from everything, to leave all my pain and my regrets behind. They were beasts, raging at the doors of my sanity. Out here, I thought I’d change. I was too afraid to be happy, to be the man I wanted to be so desperately. Sarah wanted me to be that man, helped and urged me to change but I wouldn’t listen. I hear her voice, calling me. Finally. I’ve waited so long to come back. It’s the madness, the creature inside me that’s talking but I don’t care. I see a door ahead of me and it leads back to our old apartment. Inside, she’s waiting for me, looking young and beautiful. She’s beckoning and sunlight is turning her short hair to gold and white. Oh, God, if you could only see what I see. This entry was posted in Icarus, Original Fiction, Science Fiction and tagged Alpha Centauri, blog fiction, Horror, Icarus, Mike Kern, NASA, Science Fiction, SciFi, space, Thriller, William Shriver, zombie, zombies. Bookmark the permalink. The Space Cantina – Holy Crap! Did you say nomination? Mike. Bravo. I’ve read all of Will’s entries. I can’t seem to figure out what to say, and I suppose that can be a good thing. This has been an amazing, chilling read. 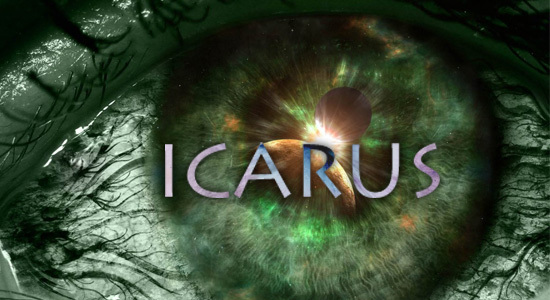 Seeing it all come together — Icarus, Sarah — it was just fantastic. I wish I could make sense of the thoughts in my head right now, but all I’m thinking of is this last(?) entry. Wow, thank you so much for reading and commenting. I’m just floored to get such a reaction to my work!